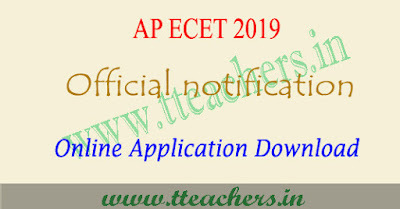 To appear APECET 2019, eligibility criteria needed to be satisfied by the candidates are advised to download of ap ecet eligibility criteria in pdf format for the year 2019 through official web portal it is www.sche.ap.gov.in/ecet If you satisfied with given eligibility rules then you can go for online apply. The eligible candidates have to apply through online mode only. AP ECET-2019 Applications should be submitted through ONLINE mode only. The Registration fee for online submission and late fee, if applicable, may be paid at AP Online Centers/Citizen Service Centers, e - Seva Centers in Andhra Pradesh. and also through payment gateway (Credit Card/Debit Card). The detailed information regarding eligibility, syllabi, fee and other instructions is available in the web site www.sche.ap.gov.in/ecet. The AP ECET entrance exam authority will organize the counselling process only for the qualified candidates. Candidates are shortlisted based on the performance in APECET 2019. The candidates who got good rank have to give web options and appear the counselling for the allotment of seats.